Skip the expensive RTK and PPK gear. Get it close. Then fix it.  A new way to get highly accurate aerial maps without the complexity or cost. As of April 6, 2018 we have enabled our new Manual Georeferencing workflow for all jobs that still have active Advanced Outputs available (i.e. within the last 30 days). This new workflow utilizes surveyed Ground Control Points (GCPs) to increase the accuracy of data that has already been processed by Maps Made Easy. In March 2018 we disabled our old manual georeferencing workflows that were designed before geotagging cameras were as common as they are (way back in 2014). Cameras that don't have location tags in their metadata required a complicated process of data entry, file selection, and feature identification. The new adjustment process is far simpler than before and will allow for the fine tuned adjustment of data that has already been processed to be pretty close to the actual location. This process is meant to augment the accuracy of maps that have already been processed using geotags. NOTE: This feature is currently free to use but it may eventually have a cost associated with it that is proportional to the size of the original job. 1. Run a job using our 'Camera GPS' workflow that uses the image geotags to georeference. 2. Click the 'Adjust Alignment' button at the bottom of the 'Job' section of job's the Map Detail page. 3. Import a CSV file that contains the surveyed GCP data. 4. Adjust the location of the GCP markers to where they are supposed to be. 5. Click 'Realign Now' and the job will run as you are used to but without the upload step. Once the job is processed a new map will be placed in your list of completed maps. The realigned map will show that there are 0 source images. Measurements, annotations, and sharing will all work the same. The DEM and colorized elevation layer will be reprocessed according to the GCP data. Here you can see a comparison between an slightly tilted area and its flattened version done with GCPs. Rereferenced maps can be added to Location Maps in the same way that normal ones can. Here is a sample of 2 visits to a park with lots of active construction around it. Try zooming way in on some features and hide the latest layer to see how close they line up. These maps are within 1 inch (1 inch/pixel data) over the entire 160 acre area (65 hectares). 3D related files (XYZ, LAS, OBJ, KMZ) are not reprocessed and are not provided. The GCP file that gets imported needs to be a .CSV file that contains a header line and no spaces after the commas. A sample file is available for download in the Step 1 section of the rereferencing page. Once the file is imported properly, you will see the GCP locations that were contained in the file drawn at the locations that were defined. The markers are where the GCP locations say they should be and will not likely line up with the processed imagery. Why would you be doing this otherwise? The GCP location for this marker was supposed to be in the center of the stump. Click on the marker and drag it to where it is supposed located to be at the time of your GCP survey. The accuracy of the reprocessing will only be as good as the surveyed points and the marker placement will allow. Once everything looks good, hit the 'Realign Now' button. So to do this now....we make a map the usual way but after processing we go back open it...add GCP and run the process again? You run the GCP process after using the geotags to create the map.  The manual and basemap workflows have been disabled. You should use your geotagged images to make your initial map and then use the GCP process to refine it. Dumb question. Do the selected GCPs have to be visible both on the Google Maps (GM) basemap and the original Camera GPS map? If I'm mapping a construction project, which of course is too new to show on GM, choosing a feature recently built would not be correct. Right? Nope. All you need is the coordinates and elevation. You can then drag the markers around to match up with the wherever the measurements were taken in the processed map. alright, I'll give it a try. Thanks. Would it be correct to refer to the number under OFFSET(m) as the accuracy, i.e. in your example above "submeter accuracy" ? The offset is the distance between the initial reconstruction and the measured points. It will always be up to a few meters off since it relies solely on the GPS of the aircraft. Once the rereferencing is done it can easily be within 1 cm. Thanks, Zane. I did my first Manual georeference job w/ 5 GCPs (white paint crosses). The straight map (without correction) is more accurate than after corrections. I used a TRIMBLE GEOXT for the coordinates. The map name is MARBLE MTN 5/18/18. At the top left corner you can see that AFTER corrections the roadway is a full width off. BEFORE corrections is only about a foot off. Should I go back and get more CGPs? Off of what though? It looks like the markers are now right on your Xs now. Your Trimble is more accurate than Google Maps and if the coordinates for the markers are where you measured them to be this map is looking good. The real check is to measure some locations and compare them against the processed map. I see, I was "assuming" the GM was the end all be all, when in fact my Trimble readings are more likely to be correct. My clients understand I'm not offering survey-quality geomaps (not a surveyor) but with this feature I feel comfortable using the term submeter precision. "The real check is to measure some locations and compare them against the processed map." Would this be collecting Trimble readings, then right clicking on the manually corrected geomap and checking the difference? GM is certainly not the end all be all. It is better than others, which is why we recently switched over but I will give you $100 if you can find a spec for it anywhere on the web. They don't publish it. Pick a few specific points on the map and right click on them to bring up the coordinates. Then go measure them. They will be VERY close. That is your measured error and it will likely be a centimeter or two if the input GCPs were good. Sorry to be dense, Zane. You lost me here: "Pick a few specific points on the map and right click on them to bring up the coordinates. Then go measure them." Exactly how would I measure them? In your rereferenced map, get the coordinates of a couple of locations by right clicking. Then take your Trimble unit out and take location measurements for those spots. They should be very similar. We usually like to verify things like the corner of a storm drain or existing feature on a roadway. I understand that step, but how do I measure the measured error? How do I come up with an error of an inch or a centimeter. I'm not getting that step. Take your coordinates from our map and calculate the distance from the coordinates of the measured location. That will be your error. Thanks Zane! My first attempt gave me a 129 CM error but that was quick and dirty, am sure I can refine this down. Appreciate the help! Got em all down to 10CM. Can I get a las (or other 3d) model after correcting the mission with my GCPS.? Can the coordinate file format be in northings and eastings ? Ross: As noted above, "3D related files (XYZ, LAS, OBJ, KMZ) are not reprocessed and are not provided." All coordinates must be provided in decimal degrees as shown in the provided sample.